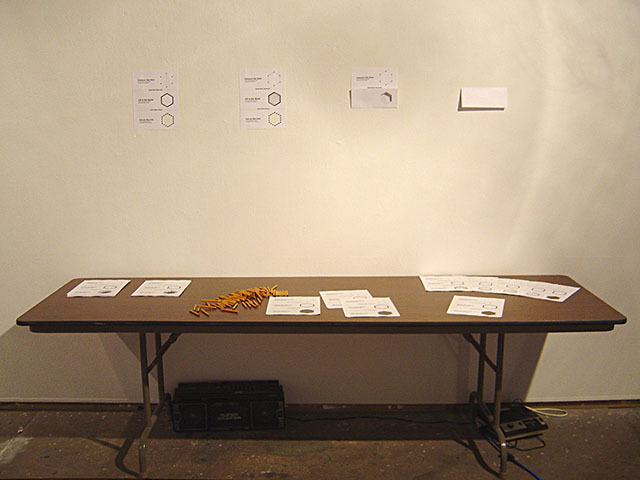 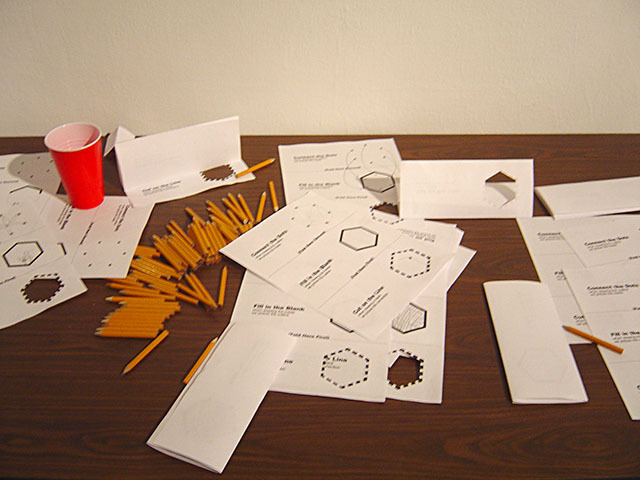 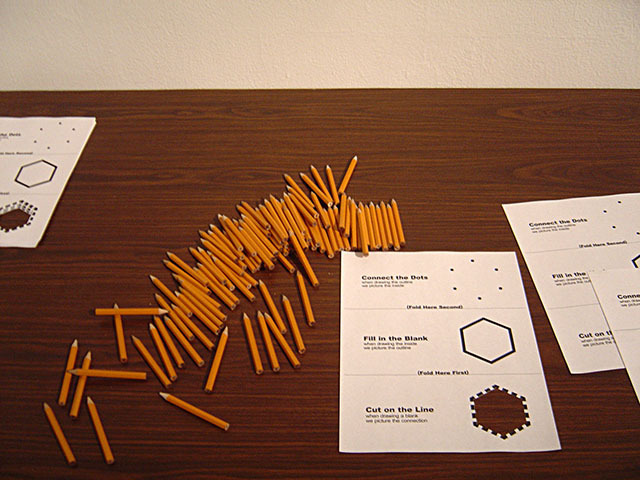 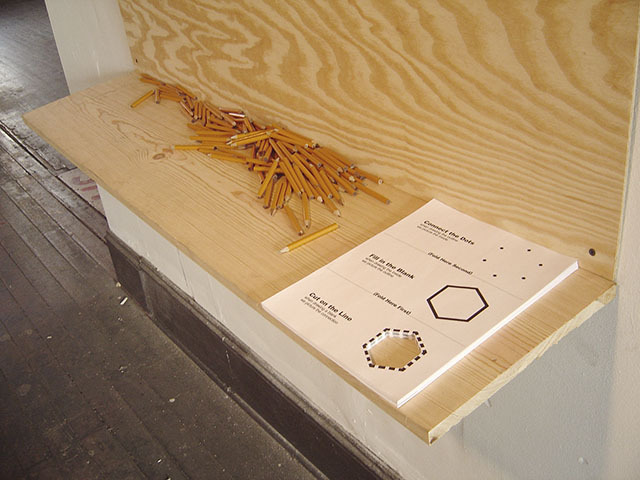 Form is a seemingly elementary worksheet which, along with yellow pencils, invites the audience to complete a visual puzzle. 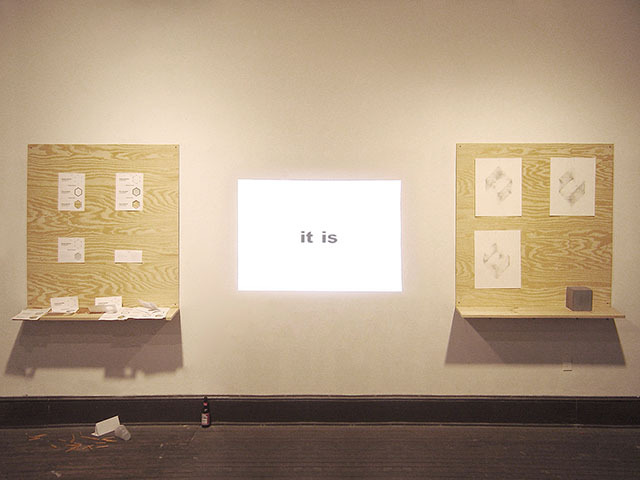 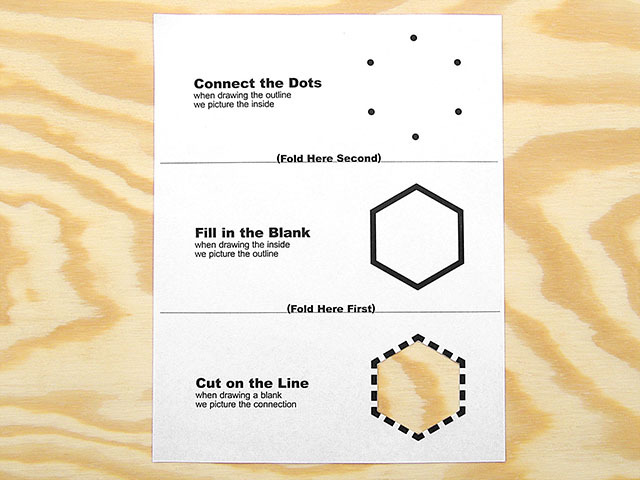 Beginning by connecting the dots, filling in the blank, and cutting on the line, a pre-linguistic, formal system of meaning emerges when the worksheet is finally folded. 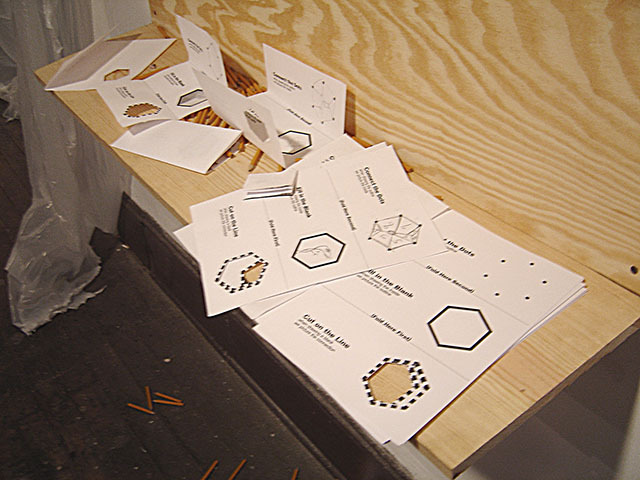 Once the treated hexagons overlap the filled-in blank touches the interior of the connected dots through the cut window and visual metaphor is illustrated.